The color of a mango doesn't indicate ripeness. 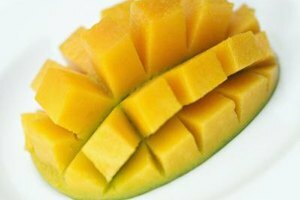 Juicy and sweet mangoes add a touch of tropical luxury served fresh or as part of a prepared dish. Freezing is the best way to preserve these juicy fruits if you want them plain, because mangoes are too low in acid for safe canning. Preserve fully ripe mangoes for the sweetest flavor. A ripe mango will yield under gentle pressure and produce a sweet, fruity aroma at the stem end of the fruit. Wash the mango under cool running water. Rub any dirt off the exterior of the skin with your thumb. Stand the mango upright on the cutting board. Slice vertically down one side, cutting against the side of the flat pit in the center of the fruit. Repeat on the other side of the pit so you have two slices without a seed and the center slice with the pit. Cut the seedless halves into cubes by making vertical and horizontal cuts without cutting through the peel. Invert the fruit and slice the cubes off the peel. Trim the seed out of the middle slice. Cut the peel off the remaining fruit and slice the fruit into cubes. Discard all peels. 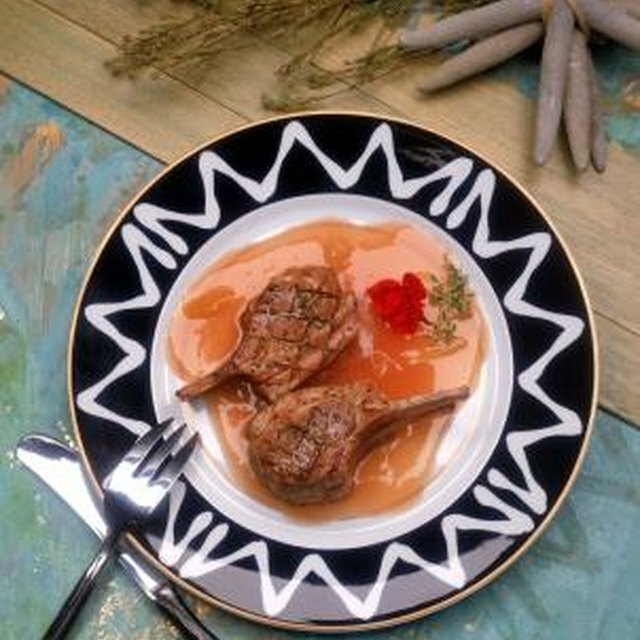 Line a cookie sheet or tray with wax paper, with the waxed side facing up. Arrange the mango cubes on the tray in a single layer. Place the pieces so they aren't touching one another. Place the tray in a 0-degree Fahrenheit freezer for one to three hours, or until the chunks are frozen through. Transfer the mango cubes to a freezer-safe storage bag or container and return it to the freezer for up to six months. Mangoes freeze well in a sugar syrup that contains 30 percent sugar to water. Mango skins can cause skin irritation. Wear thin gloves when peeling the fruit to avoid irritation. Does Mango Have a Core?